This dad decided that because the world wasn’t yet prepared to help his child, he would. Now, his car wash is making the world a better place. We all hope that our children will be able to take care of themselves one day. But if your child has a disability, often that hope turns to worry. In the United States, the unemployment rate for people with disabilities is about ten percent — that’s more than twice the national average. And though many people with autism are high functioning, they’re no exception when it comes to unemployment. Father of two John D’Eri was worried about his son Andrew’s future. Andrew is on the autism spectrum. And living in a world where most people with autism are overlooked in the workplace, D’Eri knew he had to do something. So he opened a car wash. According to D’Eri, the repetitious nature of car wash work is well suited to those on the autism spectrum, who often enjoy repetitive behavior. With proper motivation, people with autism make excellent employees. But Rising Tide isn’t just any family business. D’Eri and his other son, Tom, opened the Rising Tide Car Wash in Florida as a way to help Andrew and others like him to have a job and a paycheck. “I set out to help my son and others like him have a life,” D’Eri said. 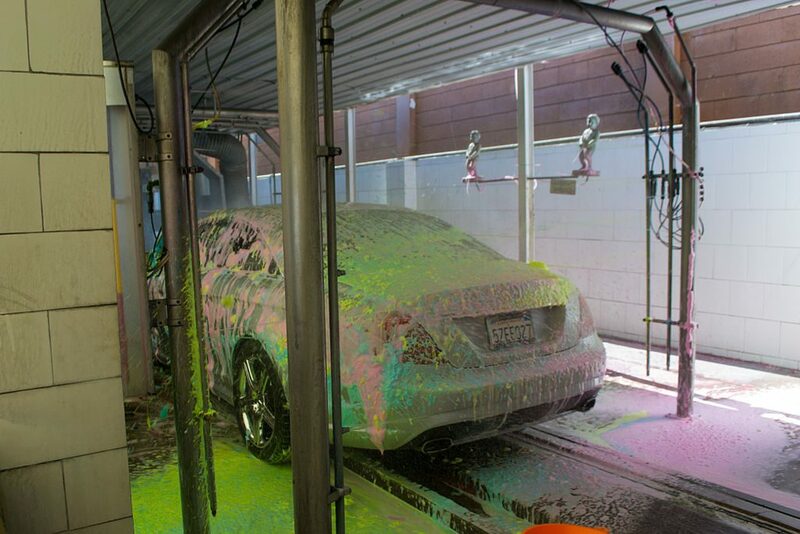 In the course of three years, Rising Tide Car Wash has grown incredibly. It now has two locations and has become a hub for training and employing people with autism. And business has never been better. And D’Eri is finding that the demand for jobs at Rising Tide is almost as great as the demand for car washes. Despite not putting out a single ad prior to opening their second location, Rising Tide received seven hundred applications. In addition to offering jobs to people with autism, Rising Tide runs mentoring, internship programs, and leadership training programs to help people with autism to move up the career ladder into management. Here’s the video with a news report on D’Eri’s car wash.
D’eri originally started Rising Tide to help people in his community. But since then, his efforts have gone global. He’s given TED talks, seminars, and even testified before the United Nations. In addition, Rising Tide supports and promotes other businesses that employ people with disabilities. The family’s efforts are paying off in other ways, as well. D’Eri’s son and business partner Tom won an award from South Florida Business and Wealth Magazine. In addition, Tom was named to the highly selective Young Entrepreneur Council. Some of D’Eri’s recent enterprises include Rising Tide U, a program that teaches entrepreneurs how to build autism-centered businesses. Rising Tide U focuses on the advantages of hiring neurodiverse people, and offers blueprints for starting businesses that employ people with autism. You can find out more about the Autism Advantage at their website. And to find out more about Rising Tide and its fabulous services — to employees as well as customers — visit Rising Tide’s online home. Watch: Tom D’Eri gives a talk on building autism-centered businesses at Launchpad 2014. Featured Image CC SA 3.0 by Visitor7, via Wikimedia Commons.